Want To Retire Comfortably With A Solid Mutual Fund Portfolio? Read This! Home > Financial News. Simplified. > Want To Retire Comfortably With A Solid Mutual Fund Portfolio? Read This! You are going to spend every Indian summer in Europe post-retirement. You will really have to be a monk or an insipid person to call it a bad deal. Do you want to know the secret of rich and peaceful retirement? 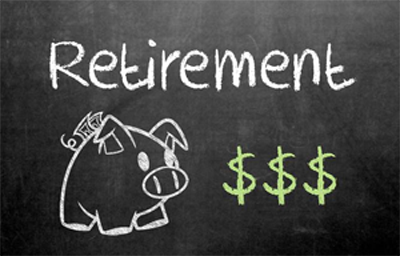 Successful retirement planning is a science. Curbing the temptation of retail therapy is difficult, which makes it nearly impossible for many of us to invest regularly. If you overcome this hurdle, investing intelligently is another task where people often fail. Being influenced by the emotional appeal that insurance companies create to market their pension and retirement plans, you are likely to end up with a bad deal. 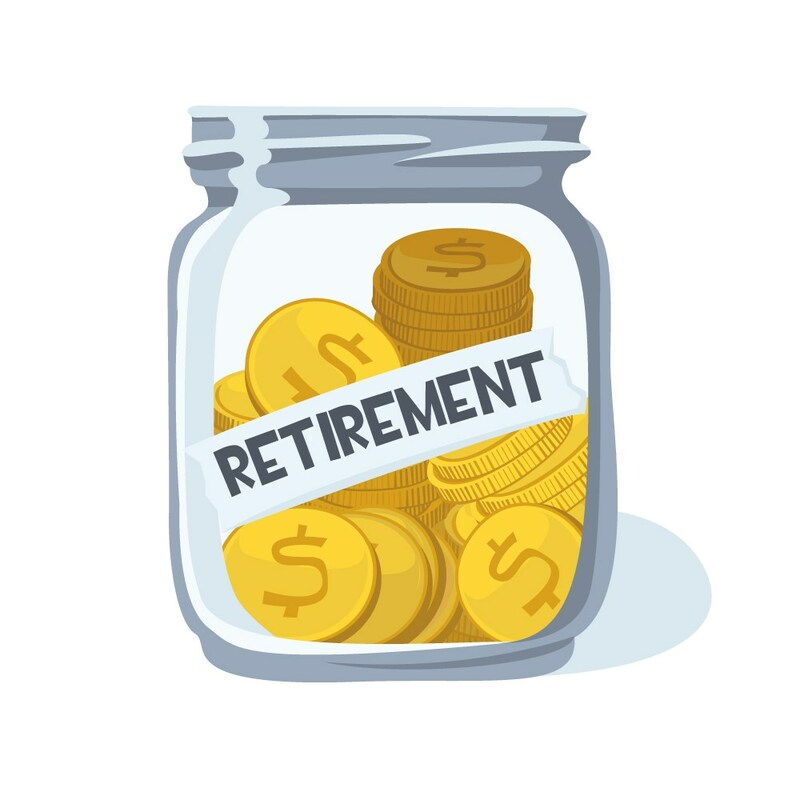 Similarly, if you rely only on fixed income instruments such as Public Provident Fund (PPF) and other Small Savings Schemes (SSS), you may fall short of retirement savings, as these funds don’t generate high inflation-adjusted returns. In other words, unless you invest in risky assets such as Equities and may be even Real Estate prudently, you are unlikely to beat the inflation bug and create an adequate pool of assets for your retired life. This is not to say, fixed-income instruments don’t have any role in your retirement plan. In fact, you should create a personalised asset allocation and invest accordingly for all your financial goals, including retirement. Buying real estate isn’t an easy choice as it requires a big-ticket investment. Nevertheless, you can invest as low as Rs 1,000 per month in mutual funds through Systematic Investment Plan (SIP) route to take exposure to equity; but you must begin early! When you invest in equity through mutual funds, you enjoy a whole host of benefits such as diversification, economies of scale, and professional management to name a few. Investing in mutual funds through SIPs can make your dream of living a blissful retired life come true. But, here, the key is the selection of mutual funds schemes. While you can pick them yourself, given the time constraints and lack of interest and (possibly) expertise, it’s wise to rely on professional advice. Wondering whom to believe in this opportunistic financial services market? PersonalFN has a dependable track record and has guided investors achieve their envisioned financial goals. The recommendations are unbiased and research-backed. So, what’s made this possible? PersonalFN does not take short cuts with its research before recommending mutual fund schemes to investors. A comprehensive rating methodology is followed. PersonalFN analyses thousands of data points to shortlist schemes and also applies a whole host of quantitative and qualitative parameters to select winning mutual fund schemes for your portfolio. 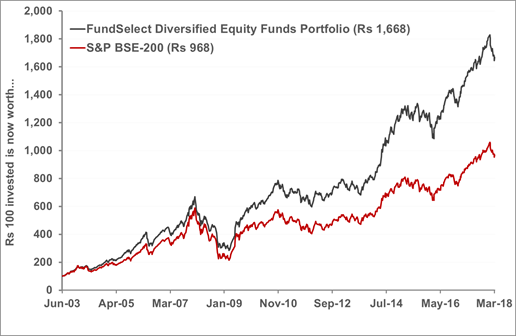 Out of every 4 funds recommended in the FundSelect—a premium mutual fund research service, 3 have always outperformed BSE 200 index. That’s the success rate of PersonalFN. Want to try PersonalFN’s Premium Mutual Fund Research service ‘FundSelect’? Every month, our FundSelect service offers you insightful and practical guidance on which mutual fund schemes to buy, hold or sell, thus assisting you in creating the ultimate portfolio that not only has the potential to beat the market. Currently, we are offering OVER 50 PERCENT DISCOUNT on fresh subscriptions to FundSelect. So, instead of the regular price of Rs 5,000, you will pay Rs 2,450 only for the first year of subscription. So, hurry and subscribe to PersonalFN’s FundSelect NOW! We will tell you the 6 Ultimate Secrets that Helped Beat the Market By A Whopping 75%! At PersonalFN, we put the investor’s, in this case your interest before our own; and recommend Direct Plans to invest in mutual funds, and follow high fiduciary standards.